Racing Enduro Mountain Biking this year and looking to improve your riding skills? 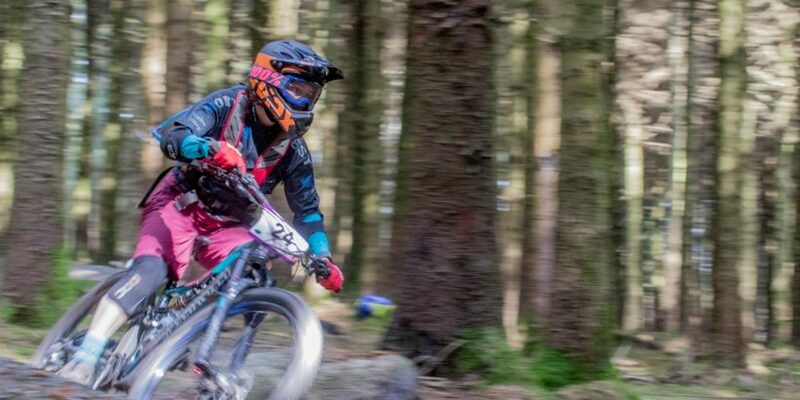 The Women’s Commission of Cycling Ireland are hosting an enduro skills development day in Tollymore on the 22nd of April 2019. This event is for female riders looking to progress their racing and technical skills in enduro mountain biking. Glyn O’Brien from First Tracks Coaching will be on hand to analyse your technique and instruct you on how to improve your skills in a safe and effective manner. Have some previous experience riding enduro or downhill mountain biking e.g. Dirty Dames, Gravity Enduro Series, First Tracks Enduro Series, Grassroots Enduro Series, IDMS, club enduro/downhill leagues, or similar. Be interested in improving and progressing their mountain bike skills for enduro racing. Cancellation of place must be at least two weeks before the event. Places are limited and people who have never attended a training day before will be prioritized. This event is subsidised by the Women’s Commission.